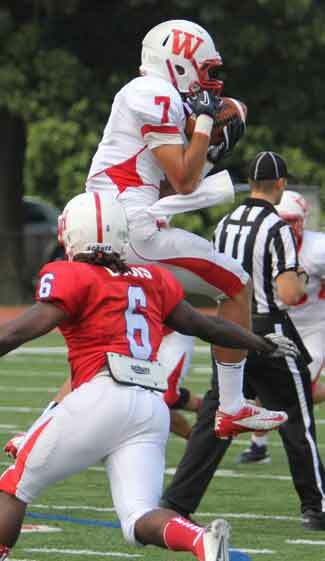 The football team’s passing attack has undergone notable personnel changes from last season. Gone are Brady Young ’11, John Horn ’11, and Wes Chamblee ’11, who accounted for 84 percent of the total catches last season. Filling in the void are juniors Sean Hildebrand, Andrew Gibson, and Jon Laird. Laird, however, has stepped up as the team’s go-to receiver. He leads the team in catches and receiving yards and is tied for the lead in touchdowns through the first three games. The team’s goal, another deep playoff run and ultimately a national title, veered off course last Saturday after a 20-17 overtime loss at home to Allegheny College. Laird is able to find the silver lining, despite the uphill battle the team faces. Laird is in his first semester at Wabash College. He is a majoring in Rhetoric while obtaining a minor in Economics. Laird has been in a whirlwind ever since he started planning his life after Diablo Valley Junior College. Laird played football at Diablo Valley and knew he wanted to continue his collegiate career. He had two more requirements: a school with an excellent academic reputation and a football program that believed in family, team, and community, similar to his high school. He attended De Le Salle High School in Antioch, CA. The bay-area school happens to be an all-male school, even though there is a sister school across the street. Wabash turned out to be exactly what he was looking for to obtain his degree. Even though the team had a need at wide receiver, Laird was the one who contacted Wabash from 2,000 miles away. Don Morel is the new offensive coordinator and quarterbacks coach this season. He is also from the Golden State and had an important effect on Laird’s decision to come here. Laird’s first visit to campus was a few days before camp started in August. His father, Tom, drove him all the way out here and stayed a couple of nights before driving back alone. Laird choked up when he shared details about the experience with his father. Laird’s voice continued to crack when he expressed his appreciation for both of his parents. When Laird and his dad arrived in Crawfordsville, he started learning about Indiana and the Midwest. Some things were not as he expected. Laird has faced many challenges here, both on and off the field. The mental challenge has presented itself on the field too. Laird had to learn an offense that involves all kind of concepts, hand signals, and different terminology. Other offensive players have helped Laird pick up the plays. He’s leaned on them for advice about opponents. When the team travels, Laird shares a room with quarterback Chase Belton. Of course, much is different from his home. Laird misses his family the most. 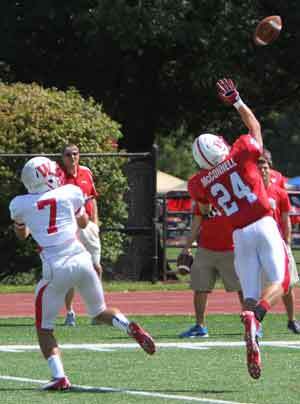 Laird will have a different post-game experience for Wabash’s 100th homecoming game against Carnegie Mellon. His mom, Diana, and sister, Jacqueline, will make the trip over here and be waiting for him with open arms after the contest.